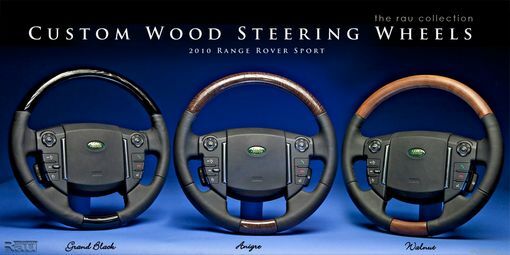 Since the Range Rover Sport debuted in 2005, the factory has offered a number of different woods for their interior trim, but no wood steering wheel to match. That's where we come in. 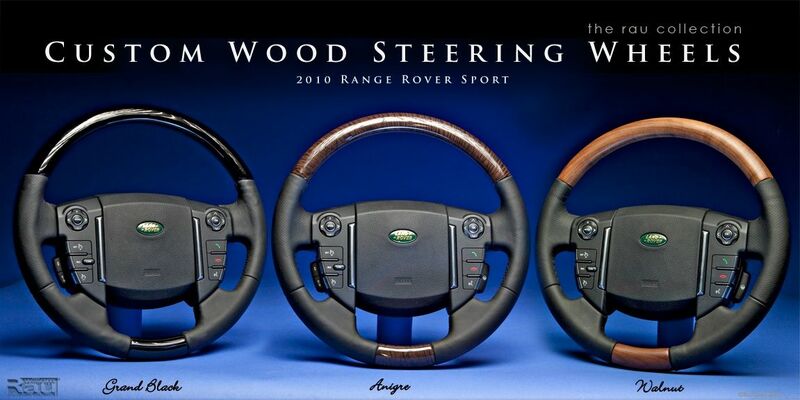 Currently the wood options are anigre (gloss), straight grain walnut (matte) and grand black (gloss). 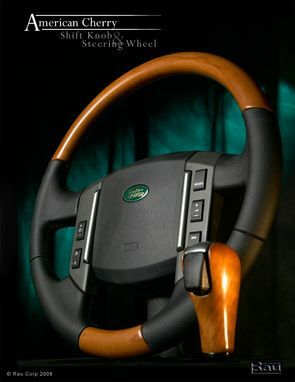 And the current models feature a heated steering wheel similar to the full size Range Rover. 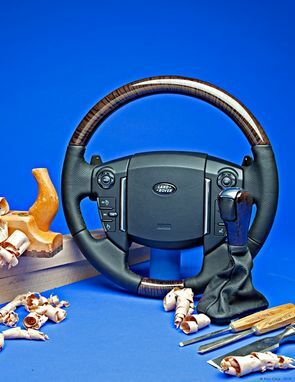 To make a wheel, the leather is unstitched and the rubber is cut and removed where the wood pieces are going. Once the woodwork is completed the details of finishing follow. Original factory wood trim pieces serve as a guide for the color phase of the build process. The topcoats provide depth and uv protection. All of our work uses factory original parts. 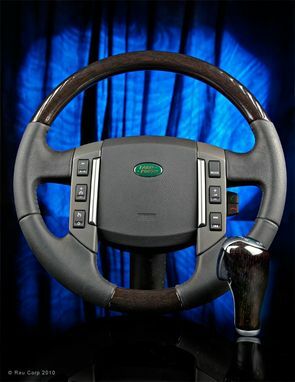 New steering wheels and shift knobs can be provided on an exchange basis. We make the wood or fiber and send them for local installation. 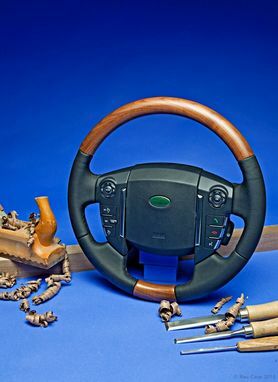 Steering wheel and shift knob cost depends on wood, heating, and year. A refundable core deposit is charged at the time of shipping and refunded when original cores are returned in good condition. For used cores there is a re-leathering charge. 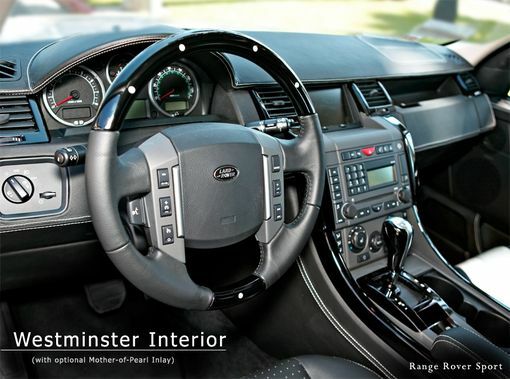 These accessories are made to match factory wood trim with respect to wood, color and finish. 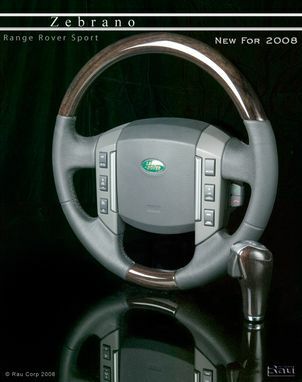 Dimensions: Box for 1-steering wheel or steering wheel & shift knob: 18"x18"x6" 7lbs.